Beautiful townhome at CHAMPIONS GATE community resort. Very close to the Oasis Club House. 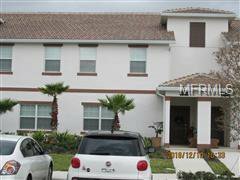 Excellent location close to Disney parks, restaurants, gas stations, mall, and supermarkets. The Gated community offer a swimming pool, Lazy river, gym, movie theater, and many more amenities. The property is currently rented for vacations and is short and long term allowed. Do not miss the great opportunity to invest in the high-value area.